Given the anthropological focus on ethnography as a kind of deep immersion, the interview poses theoretical and methodological challenges for the discipline. 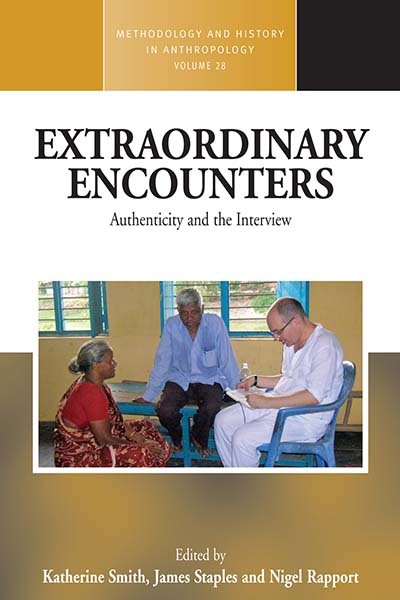 This volume explores those challenges and argues that the interview should be seen as a special, productive site of ethnographic encounter, a site of a very particular and important kind of knowing. In a range of social contexts and cultural settings, contributors show how the interview is experienced and imagined as a kind of space within which personal, biographic and social cues and norms can be explored and interrogated. The interview possesses its own authenticity, therefore—true to the persons involved and true to their moment of interaction—whilst at the same time providing information on human capacities and proclivities that is generalizable beyond particular social and cultural contexts. Katherine Smith is Lecturer in Social Anthropology at the University of Manchester. She has carried out ethnographic fieldwork in the north of England on the subjects of fairness and equality, social policy, social class, political correctness and humour. She is author of Fairness, Class and Belonging in Contemporary England (Palgrave Macmillan, 2012). James Staples is Senior Lecturer in anthropology at Brunel University London, author of Peculiar People, Amazing Lives (Orient Longman, 2007) and Leprosy in India: Journeys With A Tamil Brahmin (Lexington Books, 2014), editor of Livelihoods at the Margins (Left Coast Press, 2007) and two recent volumes on suicide. He has published numerous journal articles and chapters on his work in South India. Nigel Rapport is Professor of Anthropological, Philosophical and Film Studies at the University of St. Andrews, and founding director of the Centre for Cosmopolitan Studies. His publications include Of Orderlies and Men: Hospital Porters Achieving Wellness at Work (Carolina Academic, 2008) and Anyone, the Cosmopolitan Subject of Anthropology (Berghahn, 2012).